My philosophy is to learn as much as I can so that I give the best treatment to my patients. That means to be as conservative as I can be while preserving the health of my patients. This could mean a complete rehabilitation of the teeth to orthodontics or a simple reshaping of teeth to harmonize the bite. This Harmony or Balance is not only important to the bite but also is part of the patient’s whole health. Integrative Dental Health involves looking for the impact the body has on your teeth and all the structures of your head and neck. This includes airway, posture and structural integrity may have a direct effect on how the teeth come together and bite. If you have chipping or broken teeth, teeth that are occasionally sensitive, it may be your bite. Headaches can also be a symptom of your bite. Establishing this balance or harmony is a way to reset and calm your whole system. We also perform emergency dentistry services that include bonding, root canals, crowns, and bridges. As a local dentist, we create lifelong relationships with our patients and their families and work to ensure that they receive treatments in a comfortable and relaxed environment. 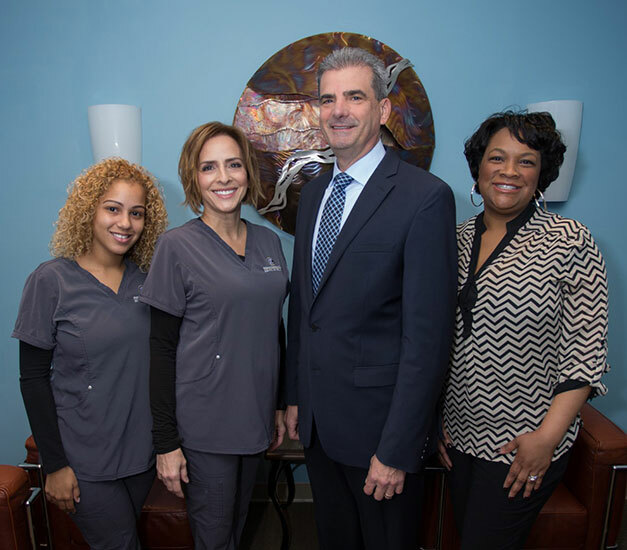 Rolando Cibischino D.M.D and our staff invite you to schedule an appointment by calling 201-204-1355 and experience why our patients think Rolando Cibischino D.M.D is the best dentist in Hackensack. Son of Italian immigrants, I grew up in the Bronx till the age of 9. We then moved to Bergen County New Jersey. I graduated from Bergen Catholic High School and went to Duquesne University where I met the love of my life, Maureen. I graduated from New Jersey Dental School ( Now Rutgers ) in 1987 and got married during my residency at Danbury Hospital in Danbury Connecticut. We have 3 beautiful sons that are living on their own, leaving Maureen and I as empty nesters. Dentistry is a constantly evolving field, rapidly changing with more research and technology changing not only the way we see things but the way we think about how our bodies work. What makes dentistry so exciting to me is that you are always rethinking and challenging yourself to be and do better. That is why I am a lifelong learner. You can never be bored! It’s amazing to think how differently I practice now as compared to six or seven years ago. As one of my mentors would say, “ You don’t Know what you don’t know” and “ You can’t see what you don’t know.”It is so important to continue your education. As a way of giving back, teaching at Neark Beth Isreal Hospital’s General Practice Residency program has been a blessing to me. Not only do I get to teach and influence the younger minds in our profession, but I get to interact with many of my colleagues on an academic level, from which I learn from as well. 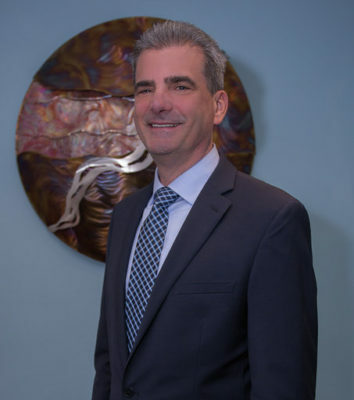 Since graduating Dental School in 1987, Dr. Cibischino has completed over 1500 hours of continuing education which he continues to do.. Having learned so much, he is now sharing his wealth of knowledge by teaching other dentists. Since 2011, he has been teaching postdoctoral residents at Newark Beth Isreal Medical Center General Practice Residency. He is teaching dentists in private study club environments and is an instructor for Continuing Dental Engagement, where hands-on technical skills and behavior are taught in small groups. Trish has been a hygienist for over 30 years. 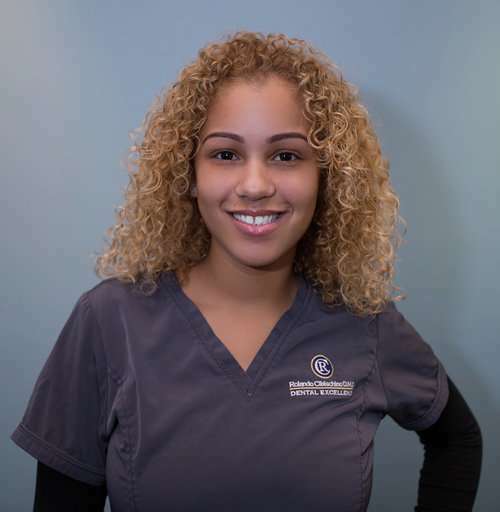 She truly cares about the health and goals of her patients, carefully listening to them and developing personalized oral health care plans that fit their various backgrounds. 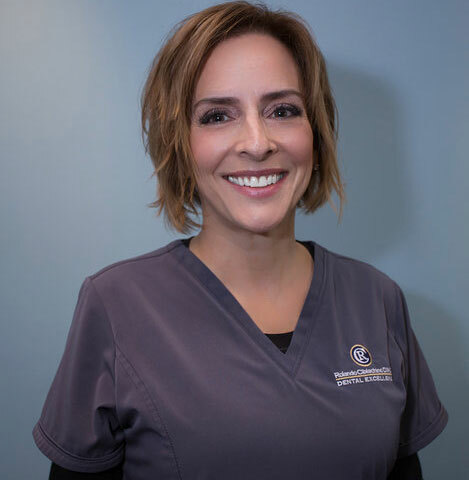 Angie is Dr. C’s chair-side dental assistant! She guides patients through their treatment procedure and assists Dr. C as he completes their therapy. One of the things she loves most about her job is the wonderful team that she works with, and being able to meet so many people who come into our office. Angela has been working in the dental field for over 14 years. She has extensive knowledge with insurance to help you maximize your dental benefits. 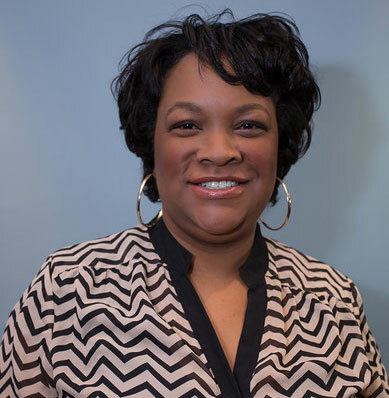 She will help you with your appointments to fit your busy schedule and answer any questions you may have and all with her friendly demeanor and smile.